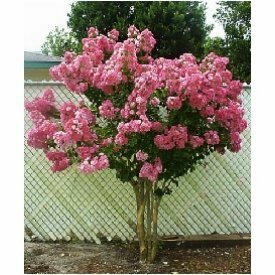 Features: Medium pink flower clusters are produced in abundance during summer on this upright rounded form. Mildew resistant fauriei hybrid. Drought tolerant. Shipped bareroot sizes vary. Easy to plant, and easy to grow! These are sold in plugs current size is 5-12 inches. These are a fast grower and in a year time you could be enjoying this wonderful color.